Want To See Over Ten Minutes of Footage From Possibly the Greatest Zombie Video Game Ever???? Sure You Do!!! 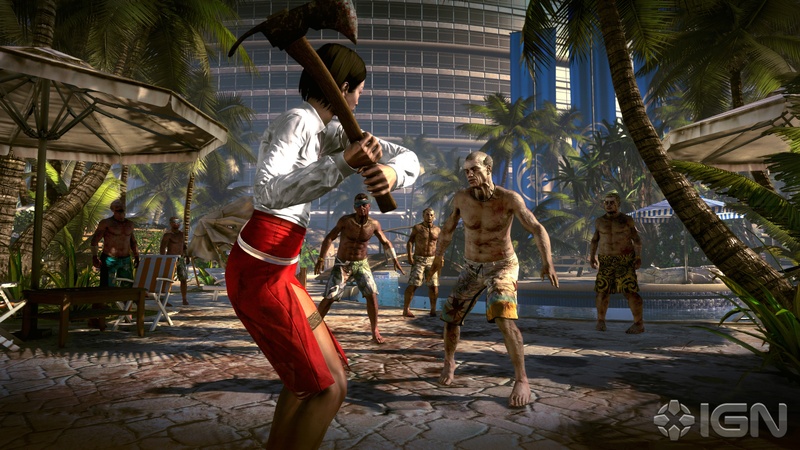 So we have covered the upcoming zombie video game ‘Dead Island’ before. You can see our coverage HERE. This game looks to be the ultimate zombie survival game to come out past, present, and future. Deep Silver Brand Manager Vincent Kummer shows us over ten minutes of gameplay and some of the cool features you can expect from this one of a kind zombie game. From what I saw in this trailer/walk-thru/review is something spectacular. It looks very realistic. I watched the main character take a bat riddle with long nails at the tip of it beat down the undead. Now like most zombie games I have seen, when this happens, you just get some blood splatter and their limbs move. ‘Dead Island’ takes it a step further. Depending on where you hit the zombie with bat with nails, that part of the zombie’s body will be destroyed. For example; if you hit the zombie in the left side of the stomach, that left side will be damaged and you will see the flesh ripped away and bones and blood. You can decapitate limbs, heads, and crush heads. It is so GLORIOUS. I also noticed that you can drive cars in this game and run over zombies and even punch out your windshield to see better. It looks so badass. 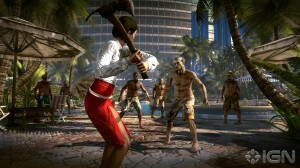 Check Out The Amazing New Trailer for ‘Dead Island: Riptide’!!! Enjoy the new Trailer for ‘Maggie’, starring Arnold Schwarzenegger and a Zombie Apocalypse! ‘World War Z’ Doesn’t Look Half Bad!!! This entry was posted on Monday, May 23rd, 2011 at 4:48 pm	and is filed under News. You can follow any responses to this entry through the RSS 2.0 feed. You can skip to the end and leave a response. Pinging is currently not allowed. « Did You Know That Joss Whedon Directed the “after credits” scene in ‘Thor’?? ?